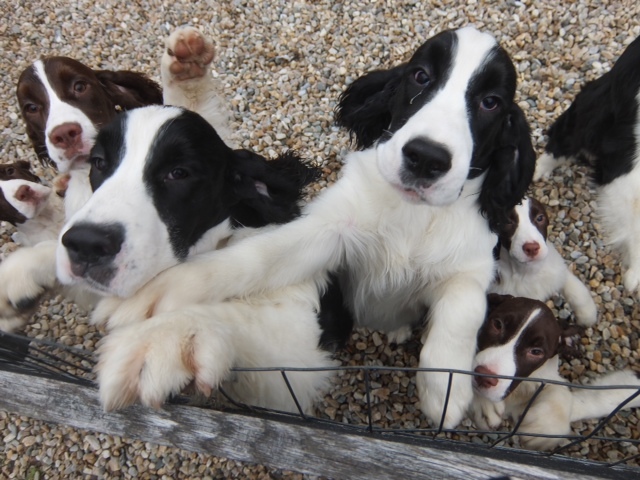 There is a Springer Shangri-La you can visit where English Springer Spaniels romp and play in great open fields like scaled down Appaloosa’s. I am reminded of the time I had a 300-gallon aquarium teeming with tropical fish. When you’d put your hand over the tank to feed them, they’d gather as one to gobble up the flaky food.